As I wrote last week, this past weekend was Alumnae Weekend at Agnes Scott. To be back in Decatur again brought back those feelings of home I wrote about last year after a similarly wonderful weekend in the ATL. While much of the weekend was spent eating doughnuts and watching college-roommate-extraordinaire-Emily’s dancer babies rehearse for Aladdin, Jr., one of the highlights was the Friday night Hub Sing. Hub Sing /’həb ‘siŋ/ n. 1. An event at Agnes Scott College during which alumnae and current students sing school songs, Black Cat songs, and old American favorites. 2. A place of revelry. 3. A Scotty’s first introduction to rambunctious alumnae. 4. Free wine + singing = one of the best Agnes traditions. I wrote my senior music thesis on Hub Sings, so needless to say, I’ve done a lot of thinking about the subject. As part of my research I looked in the library’s archives for old song books, which showed a kind of discouraging trend. In the older songbooks, songs were frequently added or subtracted; in fact, 60% of the songs in the 1921 Songbook are new songs that do not appear in the 1919 version. Recent songbooks show a decline in production of new songs, as almost all the songs contained in the 2007 Songbook appear in earlier songbooks. In a ritual like the Hub Sing, one of the most important elements for the continuation of the ritual is maintaining relevancy. The most successful songs are the ones that bridge the generational gap by elaborating on collective experiences, like love for Agnes Scott, way too much studying, and the bittersweet feelings surrounding graduation. I worried that without new songs or a change to the Hub Sing format, the ritual couldn’t sustain itself. The current student body really needed to engage with the Hub Sing. I am so happy to report that they’ve done just that! From compiling a new songbook to making buttons with favorite lyrics, I felt new life breathed into the Hub Sing this year. It may have had something to do with being out of college or being with some of the best people ever, but this Hub Sing was, without a doubt, the best one I’ve attended. Keep it up, Scotties. For a more picture- and video-filled post, hop on over to Yippee! It’s MLE for Emily’s take on the Hub Sing. When I was applying to colleges, my mom read Colleges That Change Lives by Loren Pope and somehow got it in her head that we had to go visit Agnes Scott College in Atlanta, GA. Here was the kicker: Agnes Scott is a super small, liberal arts, women’s college, and the other universities on my list didn’t fit into any of those categories. Eventually she convinced me go, “Just for a visit. What could it hurt?”, and like everything else in my life, Mom was right and I fell in love with Agnes Scott. The campus makes the best first impression–crazy gorgeous. It’s so collegiate and well-maintained (if you need a movie to watch this weekend, rent Scream 2…you can see Agnes in all her glory throughout most of the film), but it was when I started to meet the strong, challenging professors and the dedicated students that I knew I was meant to spend the next four years of my life there. This weekend is Alumnae Weekend at Agnes Scott, and while it may seem crazy to go back just two years after graduating it’s really that kind of place. 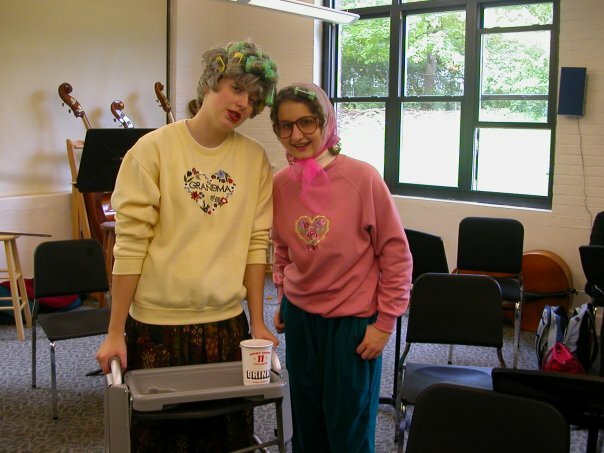 In preparation, I think we should do a little walk down Agnes memory lane. Torey came to visit within my first month of school, so we took her to a foam party. Of course. Looking adorable at the Varsity as first-years. Getting our class rings Sophomore year was only the biggest deal ever. Seniors all dressed up for the Black Cat formal. Can’t you hear the music playing? Once upon a time, we were the coolest kids in high school. Well, maybe not, but we did some pretty darn hi-lar-ious things. At least we thought so. 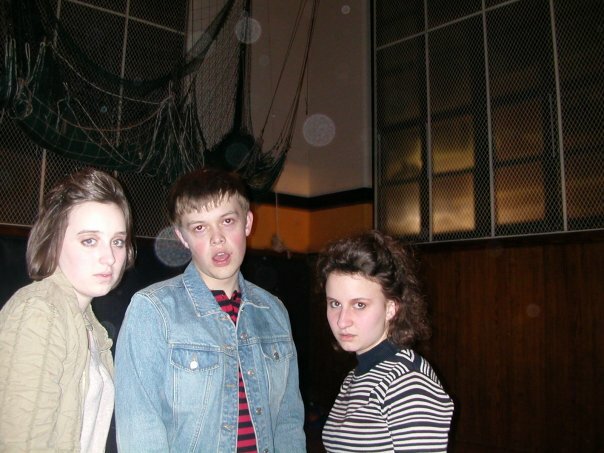 One of our most shining moments was being involved with the planning of a Eurotrash themed school dance. I have no recollection of this came to be, but we took it incredibly seriously. We did our hair and wore jean jackets and walked around saying “Oh, jaaaa,” to everything. For proof, please observe the following photographs, which I stole from Torey. This is real life. Oh, the irony. 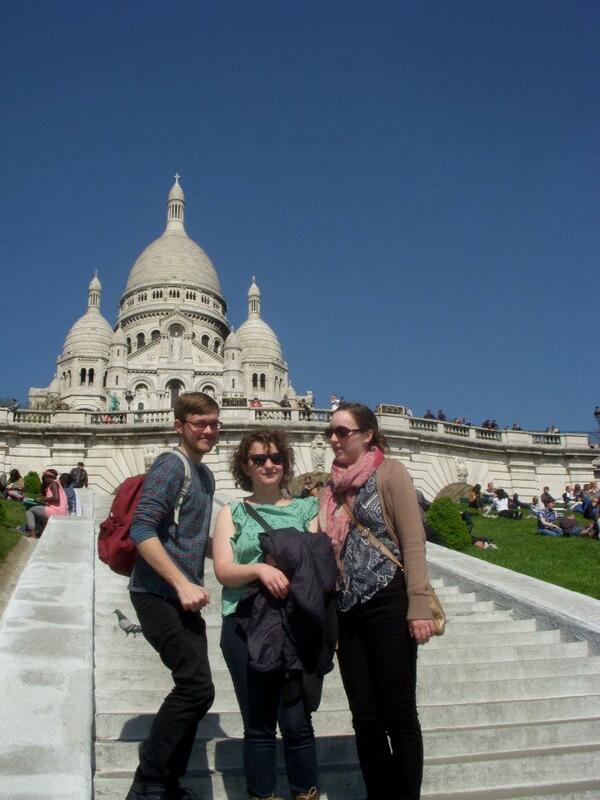 I’m feeling nostalgic, so just a few more pictures from our spring weekend in Paris. Now, in the same vein as Eurotrash, the only other thing that could come true from high school is “Senior Day.” Let’s wait a few years for that one. On a hot Orlando day in 2011, we were walking through Animal Kingdom when my exasperated nephew exclaimed, “Who planned this trip? ?” Aunt Ruth planned it. Of course. 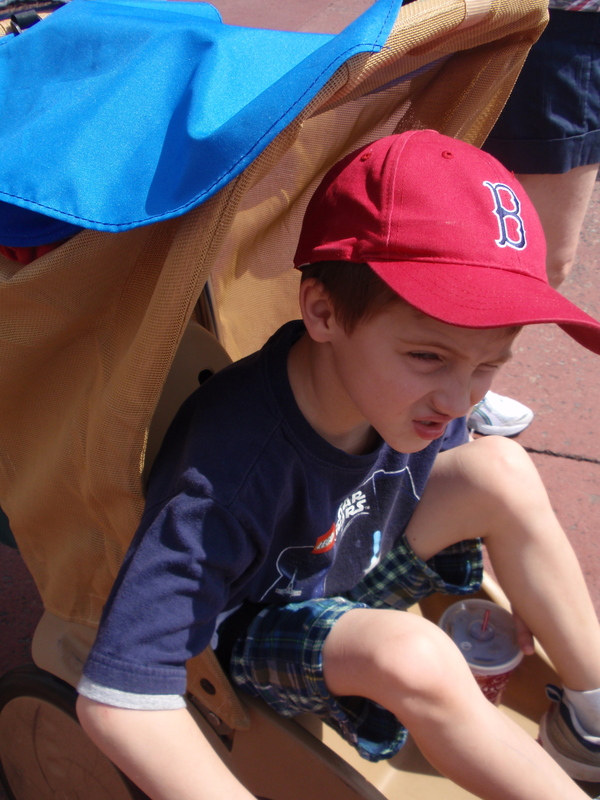 For a 7-year-old, my down-to-the-minute Disney parks plan may have been a little much, so I understood his exhaustion. My mom and I are on Day 9 of asking, “Who planned this?” We’ve been doing Lyn-Genet Recitas’ aptly named, 20-day diet, “The Plan.” Basically, “The Plan” helped us get rid of all the inflammation and toxins in our bodies and now we’re gradually introducing different types of foods to find what foods are reactive for us. I’m lactose intolerant and thought I might be gluten intolerant for about a month last year, so my main goal in starting “The Plan” was to determine foods my body likes. I never (never never never never) thought we’d make it this far, and I have to admit I’ve learned quite a few life lessons. Inedible foods are exponentially better with the addition of lemon juice. Seeming impossibilities become way easier and less scary with a partner. If Mom and I had done this individually, I don’t think either of us would have made it through breakfast Day 1. I should never underestimate my own or another person’s willpower. Finding that something doesn’t work for me (like chick peas and goat cheese) is not a failure on my part…I should really be celebrating that I can focus on other things that do work. I need to try different things every once in a while for heaven’s sake. I may not be scared to live in London for a year, but you can bet your bottom dollar I was kind of scared of kale. Commitment is scary. Almost as scary as planning for the future. But when I take it one day at a time, I get there in small steps. So, this week I’m celebrating the small things, like confirming that I’m not reactive to wheat and discovering I can make a pretty awesome cup of hot chocolate with rice milk.